Welcome to The Galaxy Express Writer’s Retreat! The perfect weekend getaway, I must say (and I’m sure many more will follow). Let’s talk shop. Despite the myriad renowned qualities of science fiction romance, it’s a niche market, which makes the publishing goal that much more of a hurdle. Not only that, but publishers are still determining how to market the genre, while booksellers struggle with appropriate shelf placement. That’s why it’s crucial to make that manuscript snap, crackle, and pop. Not only are you competing against an agent’s or editor’s subjective taste, you’re competing against published authors for limited slots. Your story had better be the best thing since the Mars Rover, or better yet, double fudge mocha chocolate ice cream with caramel swirls and toffee chunks. Thanks to Lisa Paitz Spindler, Shelfari Science Fiction Romance Group joins the ranks of the SFR community. As a totally happening pad, it’s a super place to dish about your favorite SFR books or discover new reads. “Out Of This World”—a Sci-Fi/Futuristic Workshop at Romance Divas. This shindig was thrown by a number of renowned SFR authors. Dated from October 12-14, 2007, the thread is long over, but still free! SFSignal & io9 keeps you abreast of all the swinging events in the SF universe. Online Writing Workshop for Science Fiction, Fantasy, and Horror (and agents such as Colleen Lindsay evaluate participation in these workshops seriously). 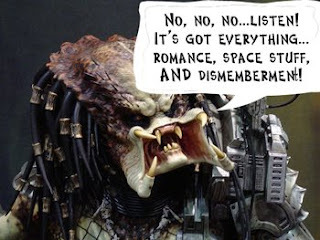 Check out Alien Romance for a post on writing a gripping opening line, among other goodies. Plot, Character, Or Something Else? offers thought provoking questions to spike your creative juices. From SFWA comes a list of Fantasy Worldbuilding Questions by Patricia C. Wrede. Laurie at Spacefreighter’s Lounge has lots of SFR specific posts geared toward writers/research. For online communities, you can’t beat Absolute Write. But if cozier digs are more your style, head on over to The Quill & Parchments Writers Pub. Ginger Clark, Curtis Brown, Ltd.
There’s a lot more out there, so query widely! Agent Query is a great resource. If you’re an aspiring SFR author, come aboard and mingle. Tell us about yourself, and share writing, craft, or query war stories. 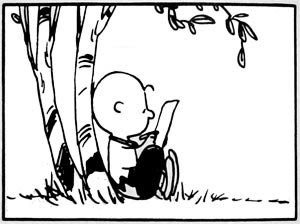 For those of you with a blog or Web site, feel free to post a link in the comments (and apologies in advance if I overlooked anyone). Let’s do this again sometime, and thanks for your art!